Should I set a Meta title on each page? If you’re looking to increase your website traffic from search engines like Google, then the answer is YES! The Meta title is the indisputable single most important “on page” factor influencing how your website ranks in search engines. What does this actually mean and how do I improve my rankings? “on page” factors are changes you can make directly to your website and the most important one is the Meta title (one of the SEO fields in the online editor). The simplest way to start improving your search engine rankings is to use carefully considered “keyphrases” optimised for each page on your website. By this we mean writing a phrase made up of 3-5 keywords that are appropriate to your webpage content, while considering the sort of search query you’re looking to improve your rankings on. In this way your meta title helps google to correctly index your page for it’s key phrase topic. Being able to create unique meta Titles on each page of your website helps you to create a broader pool of keywords for the search engines to respond to. Conversely, using the same meta Title on each page means you devalue the effectiveness of that keyphrase and lose the opportunity that multiple keyphrases can give you. Image resize and cropping. How to? All you want to do is crop the product photo to a square for uploading right? You open photoshop only to find out that 30 day trial you downloaded has run out! 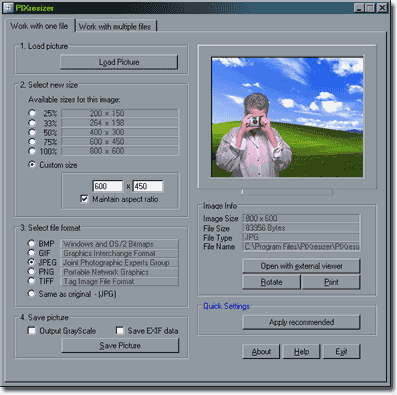 How do you easily resize and crop your images? You aren’t alone. So here I am reviewing two free drawing programs and giving you links on where to get them. These are third party programs, downloaded from websites Surefire Design have no affiliation with, so please be aware we cannot endorse or guarantee these products in anyway other than give our opinions, and cannot be held responsible for anything bad that might happen if you do use them. There, does that sound scary enough? In other words, use your common sense like you would with anything else from the internet! 1) If you want to just resize and change the quality of images. Or Google search for “PIXresizer download”. 2) If you want to crop, edit, resize and change the quality of images. 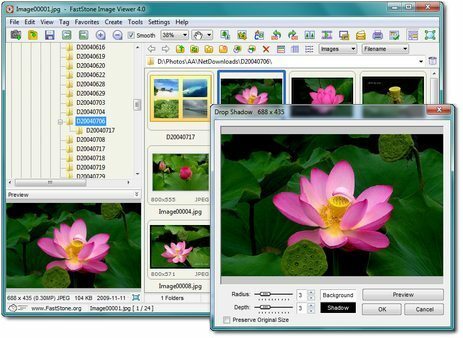 I’ve looked at a lot of free image software, FastStone Image Viewer really impressed me. The user interface felt funny at first, but I quickly got the hang of it. Rather than stepping you through sequentially, you click on buttons to do the next thing i.e. if you want to edit etc. How do you get an image out of a PDF document? Frustrating isn’t it? You can see that image you want in the pdf, you need to put it on your website. But how do you get it out??? 3) Use the tool to select the area you want to take away as an image. This will automatically copy it to the clipboard. 4) Open your graphics/drawing program, typically all you need to do is select New, to get a new document created, then click paste. The image that was sitting on the ‘theoretical’ clipboard should appear, ready for cropping or editing. 5) Save your new image in a useful format. For web, this is typically jpg, or gif. If you don’t have a drawing program check our other posts for useful links to some free user friendly drawing programs you can download!